Sprint may have recently killed off its One Up plan, but it’s not doing away with early upgrades entirely. On Thursday, the carrier announced a new option called Easy Pay. Sprint customers can check to see if they are eligible for an early upgrade at http://www.sprint.com/upgrade and can take advantage of the offer. Like similar plans, you’ll pay a low up-front down payment and then 24 equal monthly payments. After you upgrade, however, you don’t need to turn in your old phone. You can keep or sell it to Sprint, depending on how old the phone is and what sort of condition it’s in. Customers who partake in Easy Pay can also partake in Sprint’s new Framily plans, which allows up to 10 phone lines, friends or family, to share a single bill for group savings. Sprint said that Easy Pay is only available for customers for a limited time, though didn’t say how long, so you may want to take advantage of it now. Also, once you’ve upgraded to Easy Pay, you’ll need to pay off the full cost of your phone before you take advantage of the offer again. OVERLAND PARK, Kan. – Jan.15, 2014 – Go ahead, Sprint customers – ask today for that shiny, just-launched, perfect-for-you phone you’ve been drooling over – and you’ll receive it –today. Sprint customers don’t have to be patient anymore when it comes to phone upgrades; on Sprint Easy Pay customers can upgrade whenever they want. For a limited time, Sprint (NYSE: S) is giving its customers the opportunity to upgrade their phone early with Sprint Easy Pay. To participate, existing Sprint customers can go to www.sprint.com/upgrade to check their eligibility. Then, they simply purchase an eligible wireless phone through the Sprint Easy Pay program, paying for it in 24 monthly payments. The only cost at purchase is the down payment and applicable sales taxes. Existing Easy Pay participants can also upgrade their phone whenever they want but must first pay off their balance to receive a new phone. Once they’ve upgraded and purchased their new phone through Sprint Easy Pay, Sprint customers have the option of keeping their old phone or selling it back through Sprint’s highly acclaimed Buyback program. With the advent of Sprint Framily. 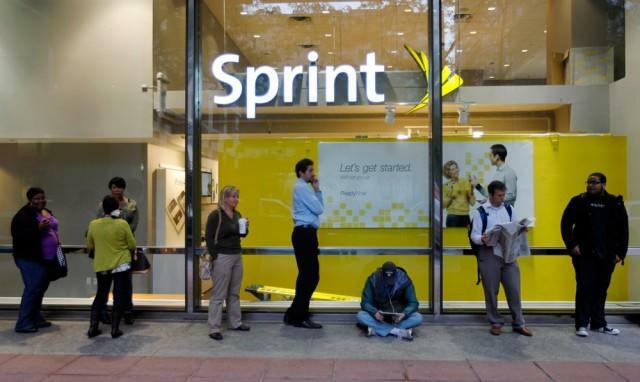 Sprint customers (new and existing) can spend as little as $25 a month on their Sprint bill. When current customers move to the Sprint Framily Plan they can create a new group with any phone lines on their account and invite friends to join Sprint and be a part of their Framily plan. More on Sprint Framily As more people are added to the group, up to 10 phone lines, the savings increase for everyone on the plan. Because each account can be billed separately, customers can choose who is in their group. For one line of service, new Sprint customers pay $55 per month per line for unlimited talk, text and 1GB of data. For each additional new Sprint customer who joins the Framily group, the cost per person goes down $5 a month up to a maximum monthly discount of $30 per line. When you build a group of at least seven people, everyone gets unlimited talk, text and 1GB of data for $25 per month per line (pricing excludes taxes and surcharges). All members of the group can customize their plan to meet their unique needs. For only $20 per month per line, Framily members can buy up to unlimited data and get a new phone every year. Plan members can share the savings, without the hassle of sharing a bill. Each account can be billed separately. Unlimited features are while on the Sprint network.